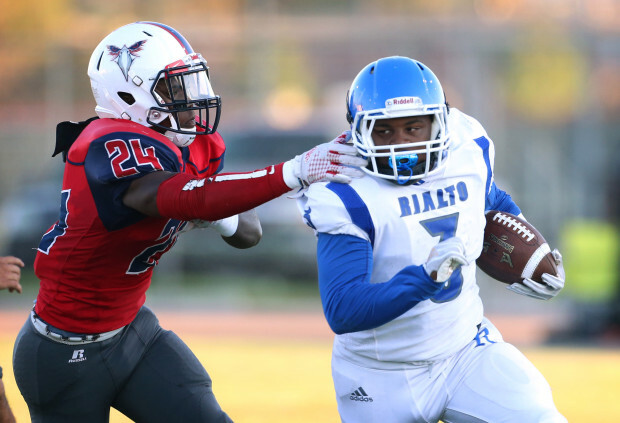 Take a closer look at Rialto senior running back Jamal Moorefield and you’ll see an underrated athlete. 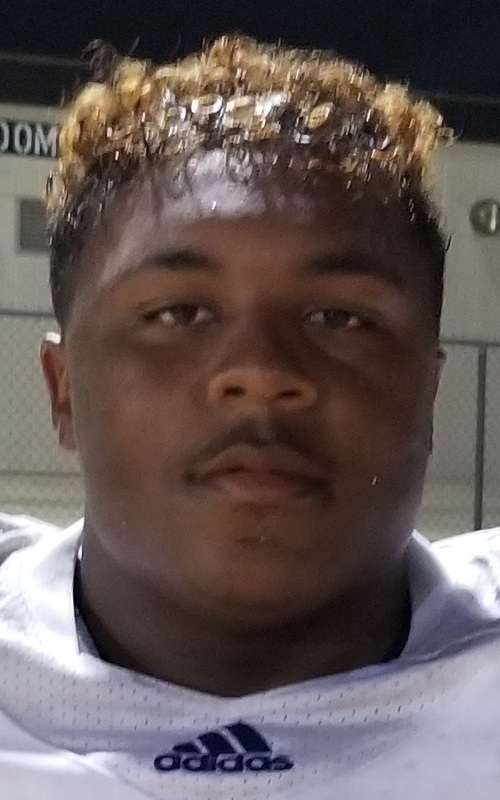 The Knights’ leading man rushed for more than 1,100 yards in just nine games last season but says he hasn’t heard from a single college coach yet. Well maybe after his Week 1 totals (17 rushes for 138 yards and two TDs) the 5-foot-9, 185-pound running back will get some attention. We caught up with Moorefield after Rialto’s 38-16 victory over Riverside La Sierra in a Week 1 nonleague game on Thursday, Aug. 23. Jamal Moorefield: “It feels good. We’ve been talking all week at practice that we need redemption. The word of the week was ‘redemption’. We came out and executed real well, we kept the momentum going, we played hard on defense and the O-line blocked good. IF: Yours is defense-heavy team. Do you see your effort on defense translating into momentum and points on offense? JM: When we’d stop them on defense the moment would carry over to offense and we’d score. We executed our defensive positions that we missed last week and had to fix at practice. IF: We saw your confidence grow as the game went on. Is that something you felt? JM: Yes sir. We plan to keep on pushing, keep the momentum going and be on that Rubidoux next week; keep the momentum going all practice. IF: What do you have to do to achieve what you want to achieve this season? JM: Everybody has to show up and work hard. Practice hard all week and focus on the game. Every week the next opponent is on my mind. We don’t care about the last game. IF: What do you want out of this season? IF: Do you consider yourself a leader on this team? IF: Can you think about football after high school yet?